Are you on a quest for an active, fun neighborhood, with a splash of old world charm? Denver Highlands is a must-visit. It’s rising popularity is attributed to: close knit community, walkability, tons of eateries and diverse demographics. Let’s explore the potentials of living in Denver Highlands. A two-mile jaunt across South Platte River to the city of Denver, Colorado; three pedestrian bridges connect Highlands with Denver. Positioned on a hill, Highlands overlooks downtown Denver. With an average of 300 sunny days, residents enjoy outside activities year ‘round. Average winter temperatures range from 45 – 60 degrees Fahrenheit in the daytime; in summertime, high temperatures are around 86 degrees. Denver earned its nickname, “mile-high city”, because it is precisely 5,280 feet (one mile) above sea level. Its altitude also attributes to Highlands pleasant weather. 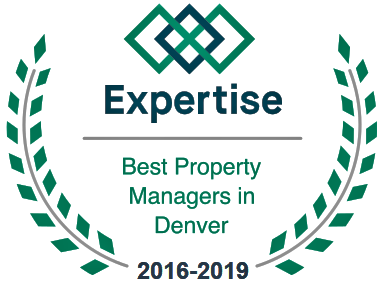 Whether your mission is to rent, buy or invest, Denver Highlands neighborhood is composed of a wide-ranging selection of houses. Is that cool million burning a hole in your pocket? Check listings for “nostalgic” Victorian homes. Want to lease a loft or condo? You’ll find a gracious plenty. Ready for tiny living? Scope out row houses or small bungalows. Seeking investment opportunities? The Highlands flourishes with sweet deals. Got a dream (home)? Manifest it via a Queen Anne mansion, duplex, studio apartment or brick single-family dwelling. If you can see it, chances are you can find it in Denver Highlands. Sandwiched between Austin and Nashville, Denver nailed a solid #2, in a 100-city review of potential job markets, conducted by NerdWallet. The mile-high city ranked #7 for the increased number of new private-sector jobs. For example, IT jobs are hot. When Google completes the move into its new 330,000-square foot campus in Boulder, tech jobs will be abundant. Registered nurse positions skyrocketed off the chart, with over 5,000 vacancies listed in October 2017. Highlands is a foodies playground. Due to its Hispanic legacy, the area abounds with mom and pop restaurants, specializing in traditional foods of Peru, Argentina and Mexico. Irish, German and Italian influences are also strong. Root Down sets the standard for customer satisfaction, accommodating gluten-free, vegetarian and vegan diners. Anyone with food intolerances should inform their server. Specializing in farm-to-table, enjoy ultra-fresh, crunchy salads, ricotta and spinach gnocchi and awesome tapas. They focus on “globally influenced seasonal cuisine”. Cebiche Highlands serves seafood ceviche, Peruvian style. Not into fish? Try the Arroz Chaufa, a mixture of fried rice, green onion, carrots, peas and egg, with cilantro beef or chicken on top. As a visitor, it’s wise to go where the locals go. Blue Pan Pizza is a definite fave. Their specialty is Detroit-style pizza, with crispy, caramelized crust. From the typical New York ‘slice’ to a Chicago-esque cracker thin crust, the friendly folk at Blue Pan will be pleased to serve you. In the mood for a tipple? The margarita bar inside LoLa made the Food & Wine top five list of places to drink tequila. In the restaurant proper, coastal Mexican cuisine is served, in the former Olinger Mortuary. Note: octopus tacos are must-haves.